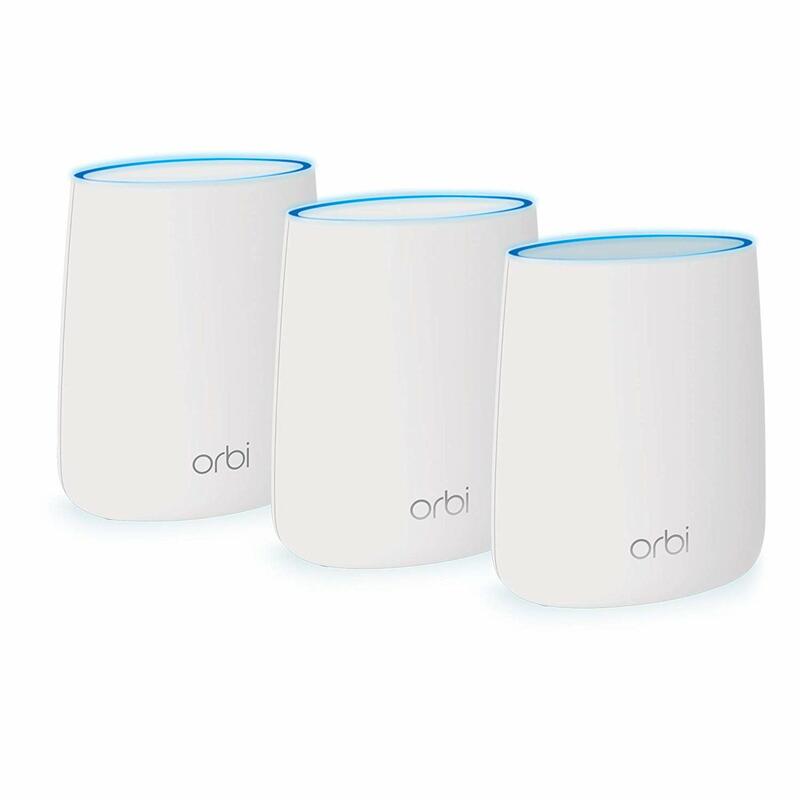 Head on over Amazon where they are offering up this Netgear Orbi WiFi System 3-Pack for just $209.99 shipped (regularly $299.99) when you clip the $40 off coupon! This system includes a Netgear Orbi Router and two Netgear Orbi Satellite Extenders. It also works with Disney Circle and Alexa. It features smart parental controls that let you filter content, manage screen time, and monitor usage on any connected device. The Orbi delivers fast and reliable WiFi without dead zones or lag time. With the 3-pack system, you can cover up to 6,000 square feet and stream with super fast speeds on all of your devices after a quick and easy setup. Just connect the Orbi to your modem and BAM – high-speed WiFi for your entire household!